The spacious cab of the new Slag Hauler SH60 is designed for optimum user experience, ergonomics and safety. Boliden has placed an order for an updated version of Kiruna Utility Vehicles’ Slag Hauler SH60 for its smelter in Harjavalta, Finland. The new truck is equipped with an ultramodern cab designed in collaboration with Luleå University of Technology (LTU) for optimum operator safety and comfort. 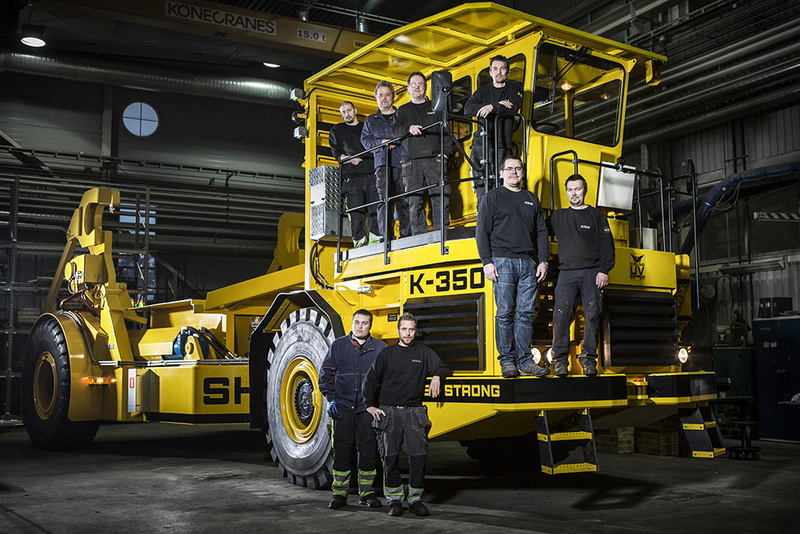 “I dare say that through our collaboration with LTU we can deliver a truck that has the world’s best and safest driving environment for this type of heavy and purpose-built vehicle,” said Kenth Mukka, CEO of Kiruna Utility Vehicles. Since the acquisition of the truck range for steelworks and smelters from Atlas Copco in 2012, Kiruna Utility Vehicles (KUV), an NMV Group company, has focused on developing a new driver environment with emphasis on user experience, ergonomics and safety. In 2016, the LTU Master’s thesis students who worked with the development of the new cab were awarded the Norrbotten Academy’s Technology Award for their innovative design. ladle used at the smelter and equipped with wet brakes that can withstand a more continuous load. This solution is necessary since the Harjavalta plant requires the truck to drive up and down a significant hill, which puts tough demands on the brakes of such a heavy vehicle. Since the truck will handle up to 60 tonnes of molten slag, it is designed to offer a high level of fire safety, which is one of Kiruna Utility Vehicles’ main competitive advantages. “I believe the customer chose us primarily for our fire safety design, the safety for the operator and the excellent visibility during tipping,” Mukka continues. Boliden has over the time bought four trucks of the SH60 model to the Harjavalta smelter. “The fact that Boliden chooses to buy an even more modern version of a truck that is already in service at their smelter is a wonderful endorsement that we are doing things right. The collaboration with LTU was very successful and I would like to extend many thanks to them, concludes Kenth Mukka. KUV personnel with a Slag Hauler SH60 of the previous generation. In 2015, Kiruna Utility Vehicles delivered a SH60 truck of the previous generation to the Finnish transport company Pentti Hämeenaho Oy, which operates at SSAB’s steelworks in Raahe. That truck has already clocked more than 10,000 hours.